The city of Salvador, Brazil, has two different railed means of public transportation. Out of the two one being the Salvador metro system. 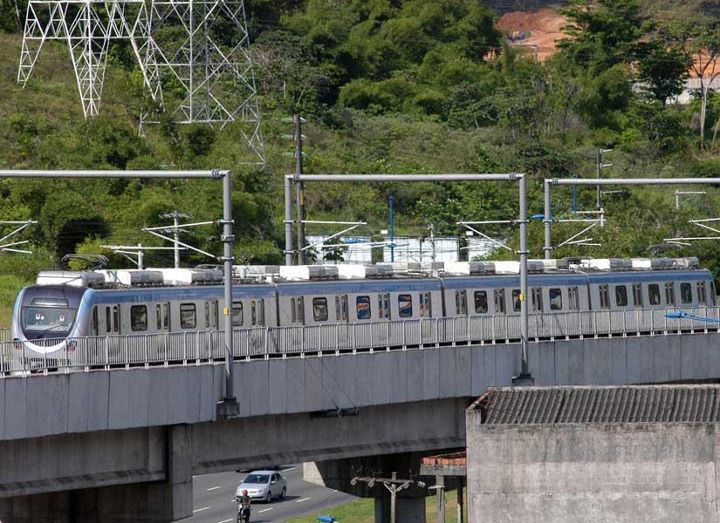 A mere infant in a world of metro systems with history, the Salvador metro which is currently operating on just 1 line, officially began its operations in the year 2014. The nearly 12 km long line that serves 8 stations in total, is operated by the Companhia de Transportes de Salvador who are planning the construction of another line, thereby extending the reach of the network to a total number of 19 stations. The trains operate for limited hours between 08:00-18:00 pm, on weekdays. A single trip on the metro exclusively is priced at a modest fee of R $ 3.30, while the integration-fare is the same as well. However, it will be valid for just 2 hours and not more. Passengers have an option to purchase cards as well, instead of tickets. The Unit Card is the most simple card that is available. It can be used for single trips but with no opportunity of integration with the other means of public transportation of Salvador. An Integration Card is the card for those passengers who use multiple means of public transportation in their daily life and want to save some money. This card enjoys certain advantages over the Unit Card. The people in the management have made sure to look after the students of the city very well. The Student Card which is obtainable only subject to certain requirements provides an opportunity to travel in any means of public transportation. The cards are reloadable in nature. For safety purposes, keep to the right hand side of the escalator when on it. There is a yellow line on the platform of all stations. This line should be crossed only while boarding the train. If anything falls on the rail tracks, inform the management. Do not try anything on your own. 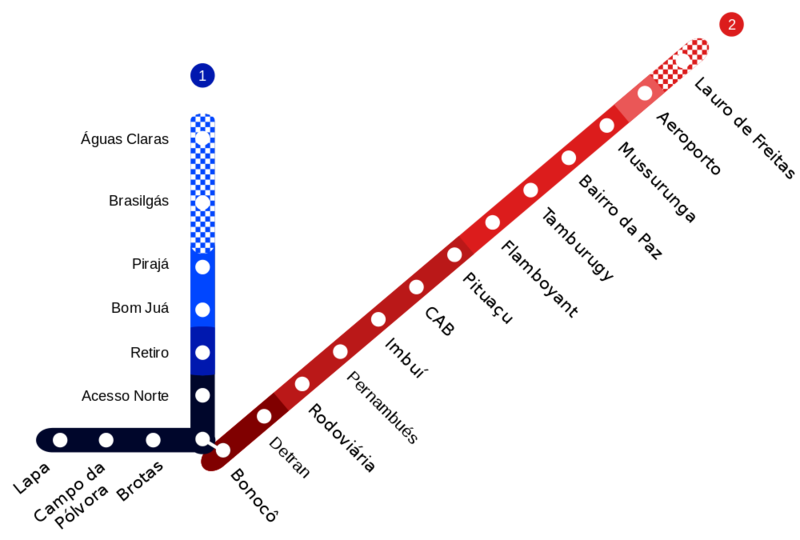 Map of Salvador Metro showing various lines and stations. Click on the map to enlarge it or Download Salvador Metro Map in PDF.